The Rees Hotel & Apartments offers lakefront accommodation with private balconies and spectacular views. It features free WiFi and a free shuttle to the centre of Queenstown. The stylish rooms and apartments at The Rees are equipped with LCD TVs. Offering free WiFi and free on-site parking, Apartments @ Spinnaker Bay boasts lakefront accommodation with views of the mountains. Guests enjoy a heated indoor swimming pool and a sauna. 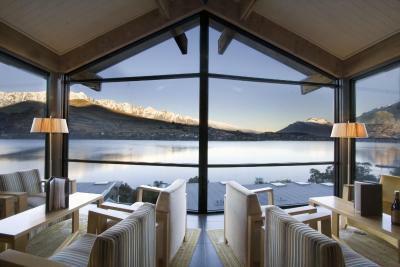 Queenstown is a 2-minute drive or 25 minutes' walk away. Offering free WiFi and beautiful alpine or garden views, Garden Court Suites & Apartments is a 4.5-star property, just a 7-minute walk from the heart of Queenstown. Featuring a fitness centre, a hot tub and free WiFi, Highview Apartments offers stylish modern rooms just 10 minutes’ walk from the town centre. Free private parking is available. 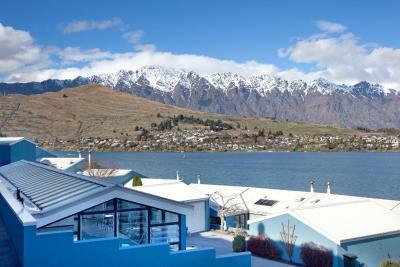 Element Escapes offers apartments in various locations in Queenstown. These self-contained, self-serviced apartments have a spacious lounge area with heating, a large LCD TV with satellite channels, a stereo system and an iPod docking station. A 3-minute walk from central Queenstown, Lakefront Apartments feature self-contained accommodation with stunning views of Lake Wakatipu and surrounding mountains. Free on-site parking is provided. This apartment-style hotel is nestled on the shores of Queenstown's Lake Wakatipu, offering stunning views over the lake and surrounding mountain ranges. Facilities include a fitness centre and sauna.